As more alternative home equity tapping tools like sale leasebacks and shared equity products begin to enter conversations about retirement, more traditional reverse mortgage products are finding themselves in a more competitive environment. Originators don’t tend to see these products as threatening, but more traditional reverse mortgages may have another key advantage: borrower safety. The exclusive features of a Home Equity Conversion Mortgage constitute their most attractive elements, says Rich Pinnell, a reverse mortgage originator with Guild Mortgage in Redding, Calif. In fact, while reverse mortgage safety has historically been a criticism of the product, the protections in place relative to these new alternatives could actually position the product as a much safer option for a senior looking for ways to unlock the equity in their home. “If you understand what you’re doing [with alternative equity tapping], that’s fine. But, [with some of those products] it appears that there is a period of time at which you would be obligated to pay them back/sell the home, so they could have their equity position pulled back to them and their profit margins. That’s probably the part that concerned me the most,” he says. The open-ended nature of the HECM, Pinnell says, is better suited for seniors who want to age in place without a time limit built into the product. “You get to stay in the house as long as you are able to and want to [with the HECM]. And, that’s a huge deal for people that are taking a reverse mortgage,” he says. Potentially having a customer’s later years interrupted by a time limit if they haven’t yet moved out of the home or expired there would be an immensely unsettling disruption, Pinnell believes. The fact that the HECM is also insured by the federal government acts to further give borrowers peace of mind, says Mike Peerless, reverse mortgage director at Holland Financial Services in Ormond Beach, Fla. Peerless also believes that features unique to the HECM give it a general edge in the home equity space when compared with alternative equity tapping tools, like sale leasebacks or shared equity arrangements. Without the non-recourse feature, borrowers may end up feeling there are too many questions surrounding the financial safety of their heirs, something clients simply don’t want to complicate, Pinnell feels. Another advantage for more traditional reverse mortgage products lies in the history of the HECM program itself, according to Scott Harmes, national manager of the C2 Reverse Mortgage Division of C2 Financial Corp. Tracking public opinion concerning reverse mortgages shows an increasingly positive trajectory for the product’s sentiment over time, which gives a traditional reverse mortgage a distinct advantage over alternative equity tapping products. The three decades that have elapsed between the program’s founding and the current form of the HECM program have been invaluable in shaping reverse mortgages into what they are today, Harmes feels. This makes alternative equity tapping products less comparable with reverse mortgages, not just because they’re relatively unproven by both market forces and by the fullness of time, but also because there is no standardization between the ways the products operate. This is not the case with the HECM or even with proprietary reverse mortgages, Harmes says. 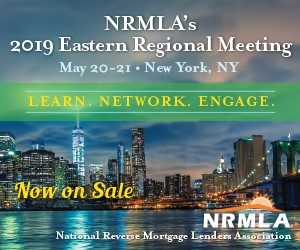 The National Reverse Mortgage Lenders Association (NRMLA) is a pivotal factor to include in the comparison between more traditional reverse mortgages and alternative equity tapping tools, Harmes says, because NRMLA is dedicated to stamping out misinformation and product misrepresentation among both its members and consumers. If he observes an advertisement that misrepresents a reverse mortgage product, Harmes has access to a very easy mechanism in which he can contact the trade association and report that ad to make sure it’s ultimately taken care of. “Our members are very assertive in doing that, and that works further to protect the seniors,” he said.